Are you ready to move into a new luxury residence in Buffalo, NY? You’ll love The Pasquale at Waterfront Place, a new 11-story condominium tower featuring 49 luxury residences. Enjoy the convenience of location and sophisticated urban life, balanced with the quiet, peaceful atmosphere of a luxury tower. Best of all, the amenities are top-notch – and our staff provides services tailored to your lifestyle. Select from a variety of configurations, ranging in size from a spacious 1,300 square feet to palatial 3,000 square foot penthouse units. Each residence features a modern, open concept floor plan with high ceilings, wide windows, walk-in closets, gourmet kitchen appliances, wide open living room, and storage and laundry room. Every unit features a private balcony, patio or rooftop terrace, and you can opt for incredible, expansive views of the waterfront and downtown skyline. Luxurious details abound in The Pasquale at Waterfront Place. Designer kitchens feature granite counter tops and stainless steel appliances. Baths include steam showers, ceramic tile, and Jacuzzi tubs. Hardwood floors adorn the living area, and every fixture is selected to fit into the overall interior design. You’ll feel right at home from the first day you take residence. 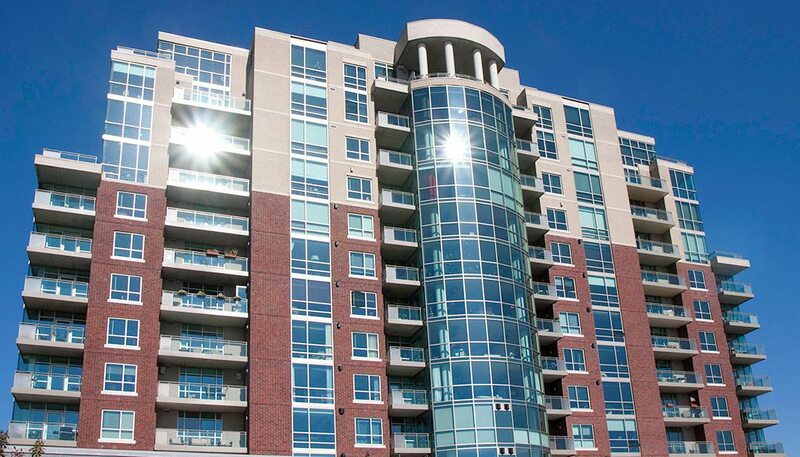 The Pasquale at Waterfront Place offers you the very best services you may expect from a luxury condominium. Each residence includes dedicated indoor parking, as well as a separate storage unit in the building’s private parking levels. Whenever you feel like enjoying some fresh air, you can take a stroll in the private central park. Need some invigorating exercise? Head to the convenient fitness facility on premises. We tailor our services to your lifestyle needs: Our building attendants can facilitate deliveries to your home, gather your incoming and outgoing mail, grant access to your visitors, and even start your car in the winter. To discover even more features of luxury waterfront living at The Pasquale at Waterfront Place, contact Ellicott Development today.